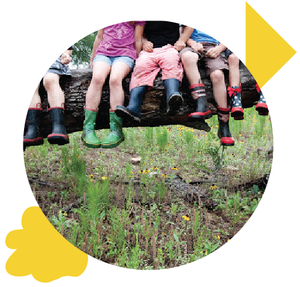 We’ve fallen in love with the Hill Country Science Mill, and we think your family will, too. Alt Ed Austin contributor Shelley Sperry recently interviewed the new museum’s founder. Read all about it below, and then scroll down to enter our giveaway to win four passes to the Grand Opening on Valentine’s Day! Amazing things are happening in a grist-mill-turned-science-museum in Johnson City. At the new Hill Country Science Mill a team of science educators and entrepreneurs is bringing innovative, hands-on science, technology, engineering, and math education to kids of all ages. The Mill, which opens on Saturday, February 14, will serve students in nearby rural and small-town schools as well as urban students from Austin and San Antonio. All exhibits are bilingual—with explanations in Spanish and English—and all are designed to turn boys and girls into passionate doers and makers. “We want to see engagement! We believe all kids are born with innate curiosity. They want to explore and do stuff,” says Bonnie Baskin, a scientist-entrepreneur and one of the Science Mill’s founders. Soon after moving to Johnson City, Bonnie was drawn to the rundown nineteenth-century mill that now houses the museum. She knew that the massive structure, silos, and creek could be an ideal setting for the kind of education project she and her husband, neuroscientist Robert Elde, had long dreamed of. “You don’t fall in love with science by reading about it; you fall in love by doing it!” Bonnie and her team believe that middle school is a crucial time for engaging kids in science and math, so many exhibits are designed to connect with middle-schoolers’ devotion to technology and games. Each visitor gets a 3D avatar, or “science buddy” that she or he customizes. All over the Mill, kids check in at kiosks and tablets, and their avatars let them choose favorites and provide new information about the work scientists and engineers do. And then the kids take their avatars home. “Why should a museum be confined within walls? We want to extend the experience into kids’ lives at home and at school. We want to engage students for the long term—not just for a few hours.” They can access more information by logging into the museum website, and their science buddies will join them to explore favorite topics again and again. The museum’s grand opening is on Saturday, February 14th. Special activities and musical performances have been scheduled to help kick-off the day. Proceeds from the Grand Opening will benefit the Science Mill's Scholarship Program, which will help defray the admission and transportation costs for field trips and enrollment in science programs and camps for qualified students. Bonnie finds it hard to choose a favorite exhibit, but one she’s especially proud of is the “cell phone disco.” Inside one of the 40-foot silos, thousands of red LED lights respond to students’ cell phones when they send texts. The interaction between their phones and the lights demonstrates the power of electromagnetic waves. You have three ways to enter our random drawing for a family pack of passes to the Hill Country Science Mill’s Grand Opening on Valentine’s Day. The giveaway ends at midnight on Tuesday; we'll announce the winner on Wednesday morning. Good luck! UPDATE: Congratulations to the winner of our random drawing, Tammy W.! And thanks to everyone who entered. We hope you’ll make it out to the Science Mill soon, and visit Alt Ed Austin often. Since I discovered them ten years ago, I’ve been seizing every opportunity to share my love for the three beautiful children’s books in The Universe Trilogy. What better excuse than Alt Ed Austin’s 2nd Anniversary Giveaway Week? In this charming book, the “Universe” is your home, your host, and your storyteller. If it could talk, it would say exactly what Jennifer has scripted for it. These books, all written by Jennifer Morgan, do an excellent job of explaining complex scientific concepts in ways that children can easily grasp without dumbing them down. Just as importantly, they do it in ways that inspire awe in readers of all ages. 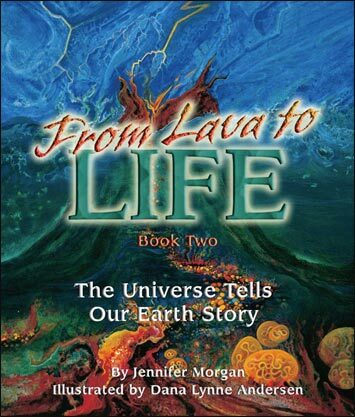 The books are narrated in first person—by the universe itself—and addressed directly to the reader. It’s an unusual strategy, and it works. The illustrations, painted by Dana Lynne Anderson, are gorgeous and expansive. The Big Bang Theory, the formation of stars and planets, the origins and early development of life, and the evolution of humans will make lasting impressions on young readers’ minds in part because the facts are accompanied by such unforgettable images. Mammals Who Morph . . . will engage and enchant, as well as educate. . . . It is a must for every school library—and I shall give it to my grandchildren and my sister’s grandchildren and my godchildren . . . If you are lucky enough to win this trilogy in our drawing, I predict that, like Jane Goodall, you’ll eventually want to get more to give away. If so (or, perish the thought, you don’t win), you can buy them directly from Dawn Publications, one of the best publishers of quality books on science and nature for families. In the meantime, be sure to get your entries in by midnight on Thursday, December 12! I’ll announce the winners of all of the week’s giveaways on Friday.